« Could DT Cody Be on His Way Out? Fans can now begin voting for the Detroit Lions’ 75th Season All-Time Team. The team will have a different position on its website from June through September for fans to choose the players they feel worthy to be on the all-time team. The team will be announced on November 9th at Ford Field during a regular season game with the Jacksonville Jaguars. The current voting period is now through June 16th, with the Wide Receiver position vote. 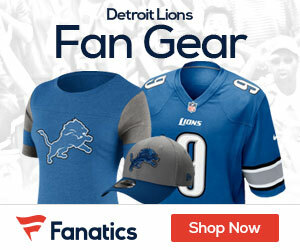 Fans can go to Detroitlions.com to vote.